Outlets: 2-110v. outlet withing 50 ft. 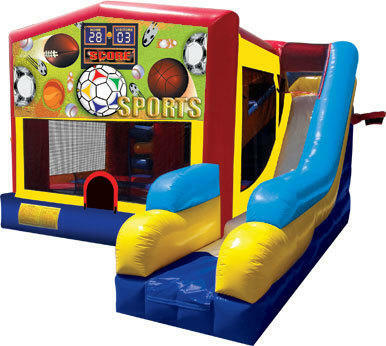 Boys and girls alike will enjoy jumping, climbing and sliding in this Sports themed combo. A great addition to any party!